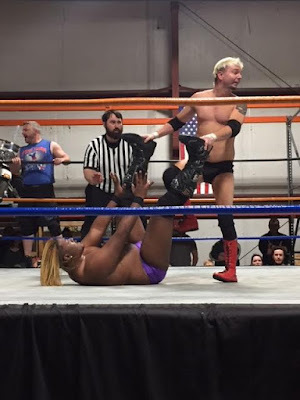 Saturday night was another big one for Stride Pro Wrestling. We took the show on the road to Roadhouse Harley Davidson in Mt. Vernon for a fundraiser for YouthBuild. The event saw more than 425 people in the crowd and raised more than $2,500. Not a bad night for sure. 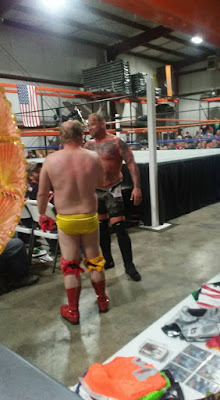 Fans got to see the usual great stars of Stride Pro Wrestling. But also the debut of James Ellsworth. He battled Wraith for the Legacy Title, a match he won by disqualification after being jumped by Disciples Ryzer and Chase. That attack took us to an impromptu six man tag with Ellsworth leading his team of Farmer Billy Hills and 'T-Dog' Jerry Travelstead to victory over Wraith, Ryzer and Chase. Earlier in the night Ryzer and Chase battled Farmer and Jose Magnifico. The bad guys got frustrated and attacked Magnifico at the end of the match, damaging his ankle. He hobbled out later on crutches, so it looks like he could be sidelined for some time. Side note before I get to the rest of the show results, I was able to spend some time with Ellsworth after the show at dinner. 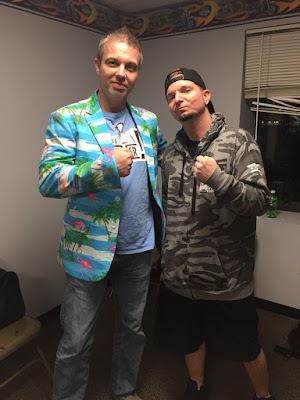 A few of us went out to eat and listened as Ellsworth shared stories about his time in WWE and what he hopes to do in the future. The service at the restaurant was slow which turned out to be a good thing as we had more time to spend with the former WWE Superstar. For obvious reasons, I'm not going to go into what we talked about, but I enjoyed hearing his perspective of his tenure in WWE. Don't be surprised if he's back one day either. Thanks again for coming to Stride and spending time with our fans and the wrestlers on our roster. Other matches of the night saw Tony Flood drop the Stride Pro Wrestling Heavyweight title back to Jay Spade after one week. This time it was Flood tapping out to Spade's sharpshooter. 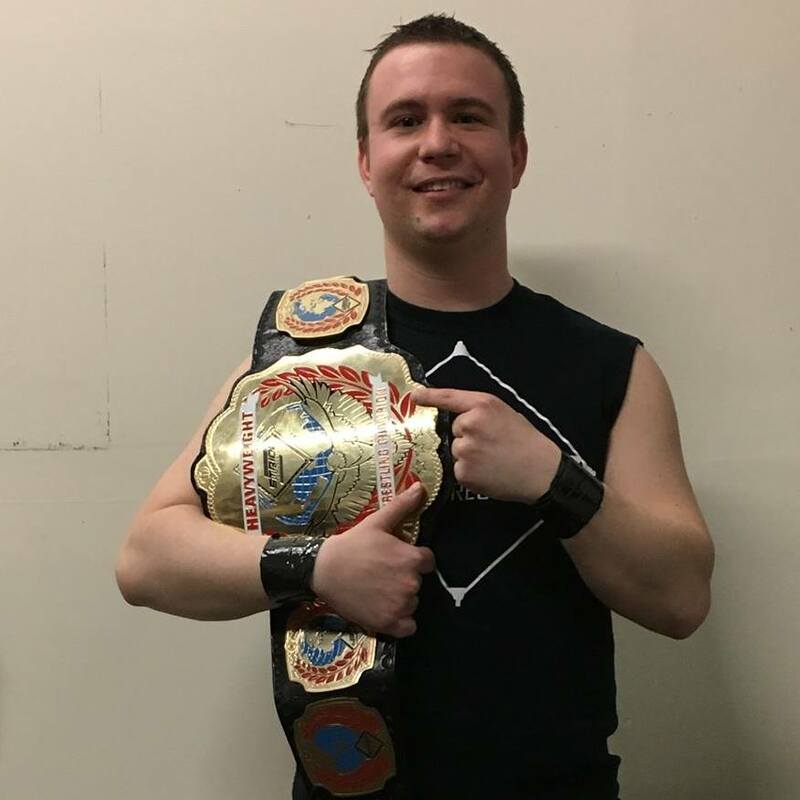 Spade becomes the first two-time heavyweight champion in Stride Pro Wrestling. 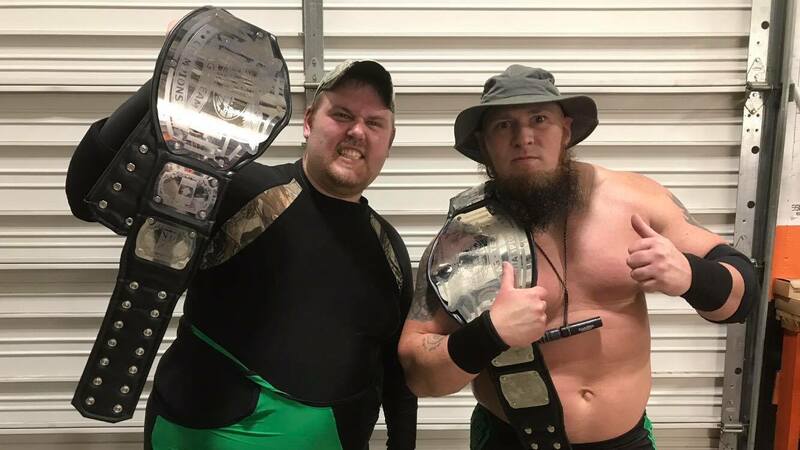 There is also new Stride Pro Wrestling tag team champions. The Midwest Monster Hunters, Bo Sawyer & Jason Tiller, survived a fatal-four way match. They last eliminated the champs, Ax Allwardt and Heath Hatton, thanks to J. Wellington Beauregard and a chain. Other notes from that match saw Joey O'Riley turn on Arron Brooks after they were eliminated. The DR Party was also a part of this match but was the first team eliminated. 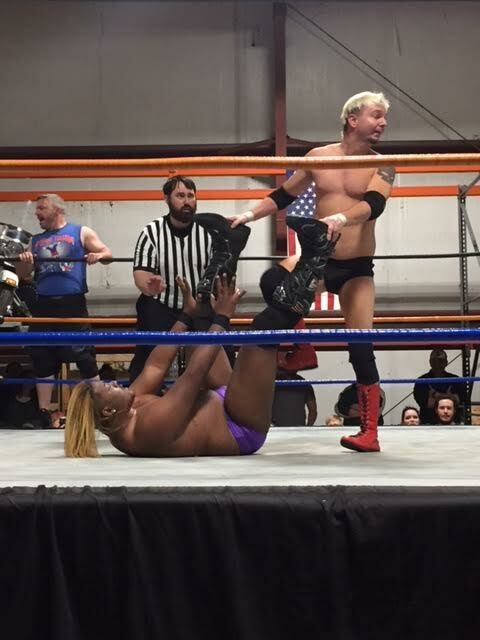 I made my refereeing debut in Stride Saturday night in a match between Roger Matheus and Cash Borden. These two beat the hell out of each other and I called the match right down the middle, despite all the bullying and torment Matheus has put me through. When I only delivered a two count on his pin attempt he got angry and again put his hands on me. I defended myself by kicking him in the grapefruits and making the three count after a well-placed kick by Cash. 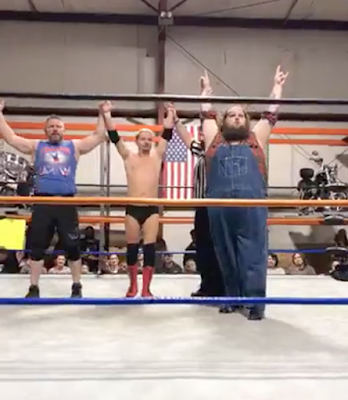 The California Kid returned to wrestling action after a long absence, beating RedneckMania. Chris Hargas returned to Stride after being off with a back injury. He looked great in his victory over Brian Richards. We're still working on a spot for our May 5 show, so stay tuned to social media for those updates. Thanks again to all who have supported Stride Pro Wrestling in recent weeks.